This comprehensive volume presents a complete overview of the halachot of Tefilla, developing each topic from the sources in the Talmud, through the Rishonim and Acharonim, until the modern day halakhic decisors, weaving together halachic, conceptual and frequently philosophical and historical analysis, and always concluding with the practical halacha. It traces the the laws of tefila as they apply throughout the entire day, beginning with the netilat yadayim of the morning, through the details of the tefilot of shacharit, mincha and maariv, and concludes with keriat shema al ha-mita. 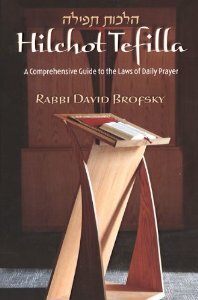 This sefer is ideal for the student, the teacher, and rabbi, and should find a home in both private and shul libraries.